Show them the content you know they want to see. Engage new customers by showing them ads that resonate with the content they are already consuming. 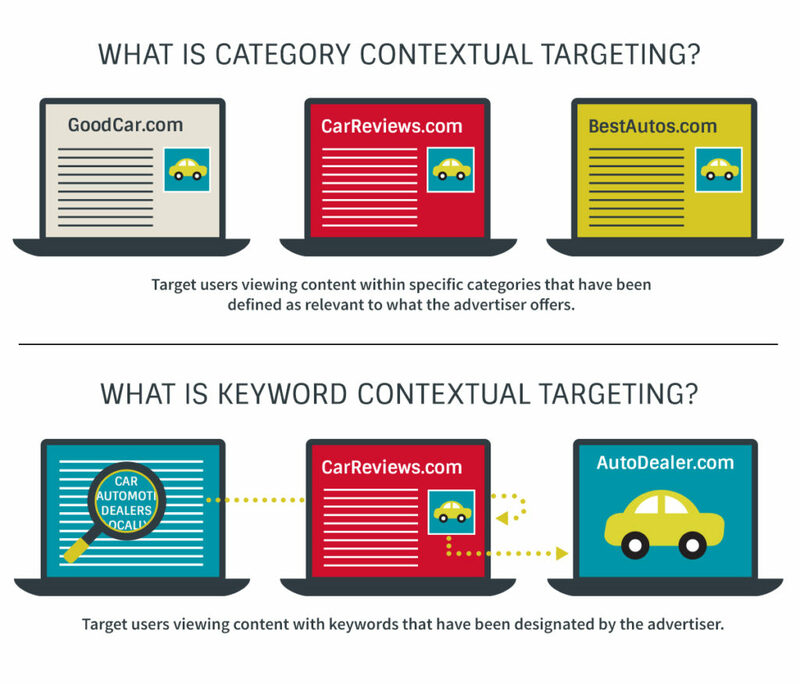 Contextual targeting looks at the category or keywords of the current page a consumer is viewing and then serves them ads that are highly relevant to that content. So, viewers only see ads they’re interested in, and you only serve valuable impressions to the right viewers. Keyword Level Performance: Simpli.fi’s keyword contextual targeting enables you to target pages containing competitive product terms, brand terms, and other highly relevant phrases that drive improved performance.